Bull Market, Bear Market, What's An Investor To Do? CEO of BlueSky, David Blain, CFA, walks through the history of the bear and bull markets. I define a bear market as a decline of 20% or more from the previous market high (the bear return is the peak-to-trough return over the cycle). Since 1926, we’ve had 10 bear markets with an average duration of 25 months, and average declines of 45%. The last one, which lasted from November 2007 to March 2009, wasn’t long, 17 months, but it was the third worst on record losing 57%. FYI, the Great Depression was the worst. Since 1926, we’ve had 11 bull markets including the current one. They averaged 54 months in duration and had a total gain of 154%. 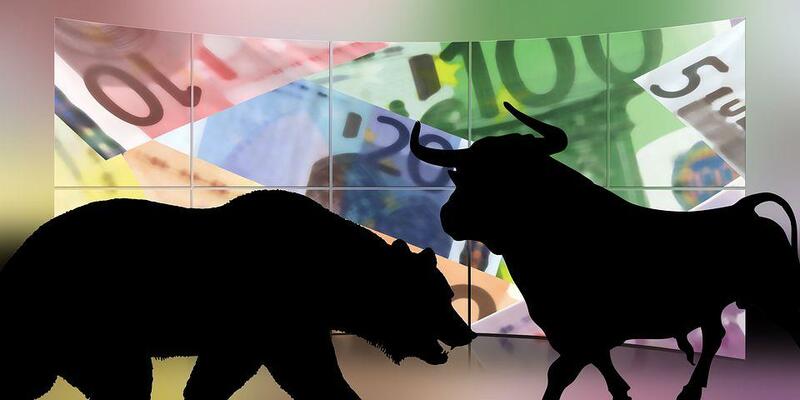 The current bull market began in March 2009, and has continued for 95 months and gained approximately 231%. That puts it in the #2 slot for longest duration and highest returns. The longest bull market lasted 115 months between 1990 and 2000, and returned a total gain of 417%. So, given its lofty ranking, the current bull certainly looks ripe for a correction. But if you consider the depth of the Great Recession (2007-2009), the massive central bank stimulus, and the slow recovery out of the recession, it may not be comparable to historical periods. I certainly wouldn’t rule out the possibility of a correction of 10-20% but a significant bear market of 2008 proportion is not likely. While the current bull can certainly keep going, four things need to happen for it to continue: (1) improving global growth, (2) high consumer confidence/sentiment, (3) labor market improvement, and (4) US earning-per-share (EPS) growth. To International Monetary Fund (IMF) estimates global growth in 2017 to be 3.4%, up from 3.1% in 2016. On the manufacturing side, The Institute of Supply Management's (ISM) Manufacturing Index climbed to 56.5 and saw improvement in the new orders component as well. The ISM Non-Manufacturing index—which represents the service side of the industry—is also very solid. A big part of economic growth is driven by consumers. According to the Bureau of Economic Analysis, US consumer spending was just over $116 billion in the fourth quarter of 2016, up from $113 billion for the same period in 2015. One of the most common measures of how consumers are feeling, is the Conference Board’s Consumer Confidence Index®. The Index, which is based on polling by Nielson, dipped slightly in January to 111.6, but rose to 114.8 in February, remaining at a 15-year high. The labor market in the US has strengthened with better-than-expected new job growth. So, while the unemployment rate went up slightly, the labor force participation rate went up as well. An increase in the labor force participation rate is in some ways more important than the unemployment numbers, because it signals that more Americans are looking for or going back to work. A low unemployment number with low participation rates isn’t healthy. A modest unemployment rate is a natural state of the economy and doesn’t necessarily cause long term harm. Likewise, after many years of stagnation, wage growth appears to be going up again at a healthy clip. US corporate earnings bounced out of their year-long slump in the third quarter of 2016, and should get back to mid double-digit growth in 2017. Looking at long-term valuation measures such as the Shiller Cyclically-Adjusted P/E (CAPE), Tobin’s Q and the ratio of total market cap to GDP; it looks like the market is overvalued. However, the forward P/E ratio (based on the next four quarters estimate) is slightly above the 20-year median, but it’s not in bear market territory, at least historically. With inflation in its sweet spot, economies still recovering from the recession, and the possible Trump tax and regulatory reforms, the higher valuations may be justified and not predictive a of a bear market. So, what does all this mean for investors? 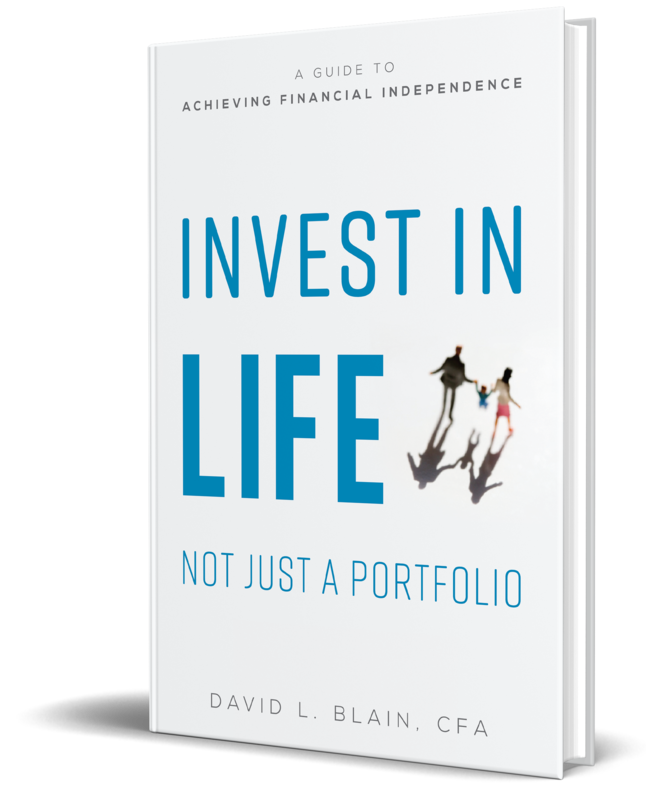 I advise all investors to have a written investment strategy to memorialize the reason they are investing, their goals, and the percentage of stocks and bonds they want to invest in based on their risk tolerance. Specifically, they need to examine how much of a decline in their portfolio they can withstand. They should then determine how much cash/bonds they need for short term goals (2-3 years), and how much they need for an emergency fund. Finally, pay off any high-interest debt, and invest the remaining cash in accordance with their written investment strategy. If they aren’t sure how to allocate/diversify their stock investments, I suggest 60% US and 40% international (including about 10% emerging markets). To further diversify their portfolio, they should split the stocks globally with 2/3 large cap and 1/3 small caps, with a further tilt towards value stocks in both large cap, small cap, and US and international stocks. This allocation will help protect investors in the event a bull market ends. But allocations aside, there are a several factors that investors should be aware of which can extinguish a bull market. Sometimes it’s one factor or the other, sometimes it’s a combination of factors. Which factor causes the other is hard to tell as they are all intertwined. Plus, each bear market has been a unique blend of its own factors. While they are a guide, they’re not outright predictors of a bear. And, keep in mind that all bull markets have existed with some of the conditions below. When interest rates go up, it changes the relative attractiveness of fixed-income versus stock investments, and at the margins, investors traditionally move into bonds from stocks. It also raises the cost of borrowing for companies that rely on debt and can stifle growth. Rising interest rates can also choke off growth in consumer spending which is a big part of economic growth. They also lower the value of a company because the discount rate of future cash flow is higher, thus reducing its current value. Right now, rates are not that high. And, while they are rising, it’s okay, because the rise is due mostly to an improving economy, not to the Fed trying to slow down inflation. Generally, if rates are going up, but consumer confidence is high and the economy is improving, stocks will do fine. A recession is defined as two consecutive quarters of below zero economic growth. As economic growth slows, it can lead to unemployment and lower spending by consumers and companies. This causes a circular effect as companies experience lower revenues and profits, which can cause layoffs and lower consumer spending, and so it goes. And remember, as a company’s profits decline, so does its value and stock price. Markets typically signal an impending recession, not the other way around. As indicators of economic contraction become more prevalent, the market reacts more quickly than the economy itself. The problem is that by the time an official recession is declared, the market is already in decline. However, paying attention to these leading economic indicators prior to the official announcement of a recession, can help determine if a bear market is imminent (not all bear markets are accompanied by a recession). Right now, recession is not a threat. In fact, the Conference Board’s Leading Economic Index® (LEI)—a well-respected forecasting tool—is positive. Inflation is a persistent increase in the level of consumer prices or a persistent decline in the purchasing power of money, caused by an increase in available currency and credit beyond the proportion of available goods and services. In other words, inflation is not just an increase in prices. High inflation can be a bull market killer, but the Fed has a difficult time controlling it. That’s because their tools, namely higher interest rates, can also cause harm (see above). The Fed’s inflation goal is modest, typically between 2-3%. Inflation also puts upward pressure on wages, which in turn hurts company profits. Inflation also hurts the value of financial assets and, once again, creates a spiral effect. As the value of assets decline, people lose confidence and stop spending, which causes economic contraction, and the cycle continues. Right now, we are seeing signs of a modest, healthy rate of inflation, but nothing consistent with bear market levels. In fact, the greater fear recently has been deflation. Events that cause a shock to global stability always have the potential to cause markets to decline. However, it’s the poor economic conditions they trigger that cause a large decline, not necessarily the event itself. And, these events don’t always have long-term effects. For example, at the time of the 9/11 attacks, the US was already in a recession, so the attacks themselves just worsened the situation for a while longer. The key to dealing with such an event, is to determine if it’s the “last straw” that will push things over the edge. For example, the bankruptcy of several key Wall Street firms in 2007 and the OPEC oil crisis in 1973-74, sent markets into freefall, but the bankruptcy of MF Global in 2011 didn’t. In most cases, these types of events don’t cause a long-term bear. Historically, within one to six months after an event occurs, the market recovered. Periods of extreme valuations and over optimism are a risk to any bull market. As investors bid stocks up to ridiculously high levels, prices diverge from a realistic appraisal of the underlying company’s earnings potential in any given macroeconomic environment. When investors realize this, it can become a mad rush for the exits and a bear market begins. At BlueSky, we do monitor global geopolitical and economic events (natural and manmade) closely; however, we do not let them inform our investment philosophy. We design our globally allocated portfolios to weather any turbulence caused by the economic and bull-killing events discussed above.